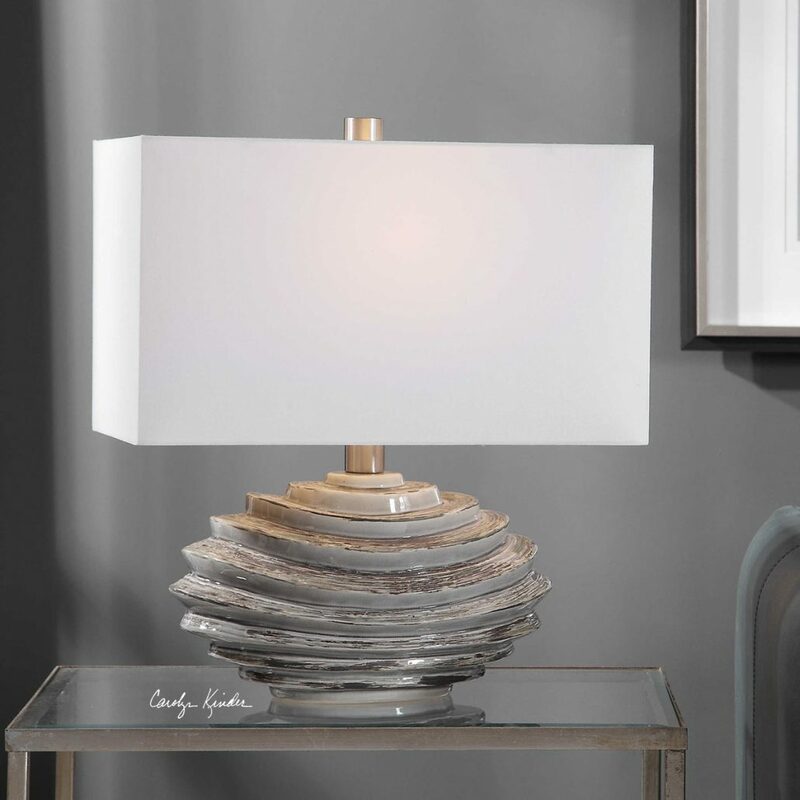 Finished in a crackled grey-green glaze with heavy dark bronze distressing, this table lamp has a contemporary design mixed with a rustic flair that’s complimented with brushed nickel plated accents. The rectangle hardback shade is a white linen fabric. Due to the nature of fired glazes on ceramic lamps, finishes will vary slightly. Designed by Carolyn Kinder International. Available to trade professionals at Uttermost.com. Explore retail options for this product using Google Keywords Carolyn Kinder Talucah Contemporary Rustic Lamp.